November 29, 2016 By farmingtonbrewing in News Comments Off on Hoodies Are In! For those of you who pre-ordered hoodies you can come pick them up. We also offer other cool gear too including T-shirts, TagaBrew copper tags, howlers (32oz), growlers (64oz), stickers, and FBC pint glasses! October 25, 2016 By farmingtonbrewing in News Comments Off on Hoodie Pre-Sale! We have begun the pre-sale for hoodies on 10/25/16! Small through extra large are $45. $48 for 2XL. Come in to the taproom to reserve your hoodie. When we hit the minimum order of 24, we send the order down the line. With the cooler weather comes shorter days and different hours at the Farmington Brewing Company. We will have the same hours as usual all week but our weekend hours are slightly changing. We’ll now be open Saturday from 2pm to midnight, and Sunday from 3pm to 10pm. Mug Club renewals will begin soon. Annual renewals are $65, and you can upgrade to a lifetime membership anytime before January 15th for $185. We will be adding 100 more mug club mugs this year. More info to follow! For those who have been waiting for a Mug Club Mug your time is at hand! 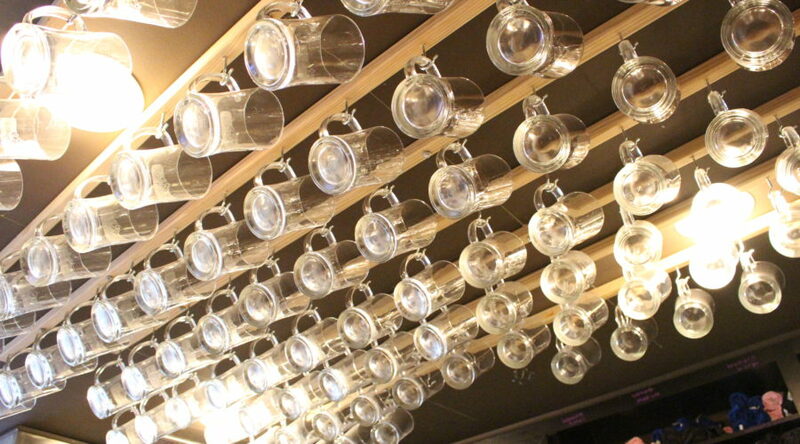 We have 251-350 waiting for you to drink from. Sale starts Saturday November 5th at noon. Line up at the Grand River entrance. Annual memberships are $65, lifetime memberships are $250. Now serving Lavender Lemonade Kombucha on tap from Neu Kombucha in Farmington. Kombucha is a fermented tea that is a nutrient-rich tonic, as well as a refreshing beverage which dates back 2000 years with Asian origins. 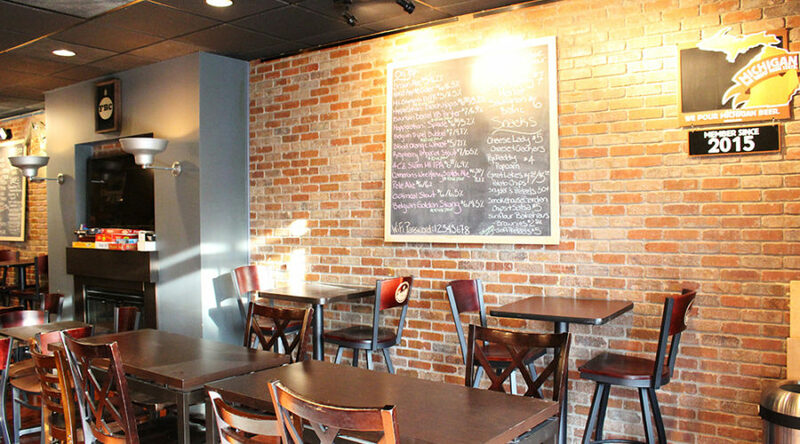 Jennie started making Kombucha at the Cacao Tree in Royal Oak in 2010. “I was just making 12oz cups with no bottling involved.” She then began educating herself on the in’s and out’s of the ferment process and soon after met and fell in love with her husband, Julius. He was the spark that was needed to start bottling and get Neu Kombucha off the ground and into their own facility in Farmington. 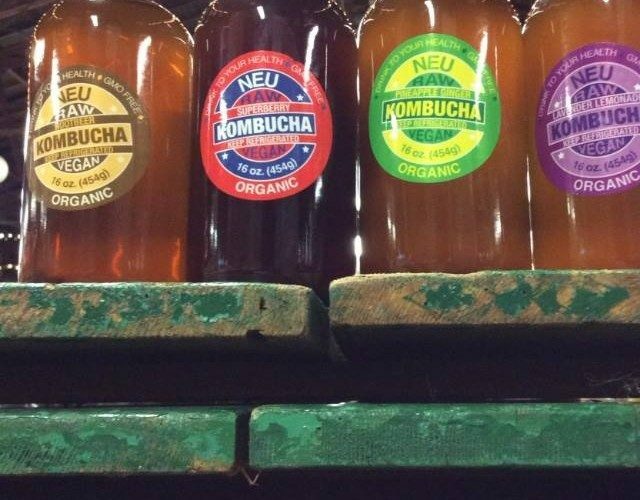 Like all fermented foods and drinks, Neu Kombucha can contain trace amounts of naturally produced alcohol, about 0.3% to 0.5% depending on the length of fermentation time and other factors, and often adds to its effervescent quality. Neu Kombucha flavors are handcrafted, GMO free, vegan, organic, and made with love in small batches. Support the local business of Downtown Farmington. Come into the FBC and try some. We are open Tuesday through Sunday. When size matters we now offer 32 ounce howlers for sale at FBC. What’s a howler? It is a 32 ounce reusable and refillable glass bottle used to transport fresh beer from the tap at our brewery. We fill it with the brew of your choice then seal it up. You then take it on a journey to your location to share, hoard, or keep to enjoy. After bottling in our brewery the beer remains fresh for about a week, but after opening, the beer should be consumed within a few days to preserve it’s quality and overall experience. A howler is half the size of a normal growler or about 2 full pints worth of delicious refreshing beer. 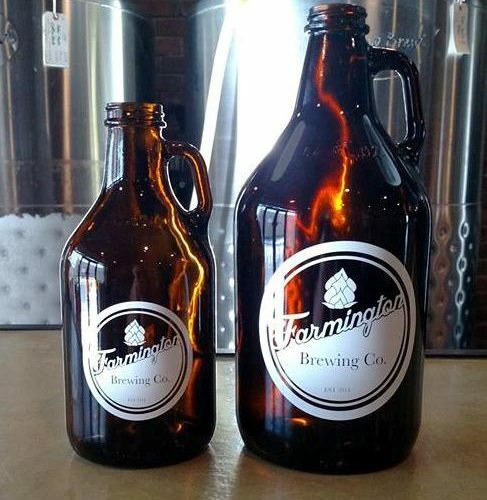 You can pick one up with our Farmington Brewing Company logo and get a matching 64 ounce growler while you’re at it. You can fill up a howler with one of our beers on tap for typically half the price of a growler. The smaller size offers endless craft beer possibilities. They are perfect for sharing and trying a few different brews at once. You can take one or two to a friend’s house to share your favorite FBC brews. Depending on the occasion size matters, so choose a 32oz howler or a larger 64oz growler. We love our own FBC logo howlers and growlers but we also fill any of your own that you bring in. So come in to pick one up or bring your own to fill today! We’re open every day of the week except Mondays. December 17, 2015 By farmingtonbrewing in News Comments Off on HOLIDAY HOURS AND 20% OFF GROWLERS! HOLIDAY HOURS AND 20% OFF GROWLERS! Starting this Friday (12-18-15) and ending on NYE (12-31-15) growler fills are 20% off for the holiday season. Growlers not only make a great gift, they also add extra cheer to your holiday party! We still have plenty of gifts to choose from for our adopted family. Stop by the brewery and help out a wonderful family in need. The holidays are coming up and FBC merch makes a great gift for the beer lovers in your life. We have our new shirts, gift certificates, logo pint glasses, stickers, and growlers! Need a place to hold your holiday party? We do private events Monday evenings. Contact Rose (Rose@FBCBrewing.com) or Gary(Gary@FBCBrewing.com) for more info. We have finally finished our first gluten free beer. The Grand River Gluten Free is a Belgian-inspire IPA brewed with rice instead of grain. We must mention that while all the ingredients are gluten free, we still made it in the same equipment as the other the beers. The Raspberry Imperial Stout is almost gone! Get it while you can! The Kölsch and Belgian Golden Strong are also on tap. We have a full compliment of darks coming soon. The Milk Stout and Dry Stout are on d…eck as well as our newest beer, a Coffee Stout. The Coffee Stout will be made with Ethiopia Yirgacheffe coffee beans roasted right here in Michigan by the Great Lakes Coffee Bloomfield. 100 new mug club memberships were released on mug club day, November 28th, at 10am. 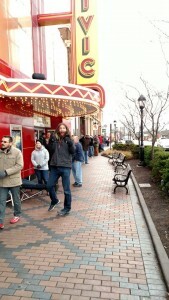 Several people began waiting in line before 8am. They are sold out. We’ll be releasing more memberships if our current members from 2014 do not renew by January. We tend to add perks and special offers from time to time as well. You may upgrade your membership to a lifetime membership anytime beforeJanuary 14th, 2017. Thanks again. We look forward to serving all of our new members! We now offer new TagaBrew copper tags! They are copper memory tags with our name on it that can attach to growlers or put on one chain. Start your Michigan Tagabrew collection at the Farmington Brewing Company. Our copper tags come with our name on it so you can begin your collection of memories as you hop to different breweries. 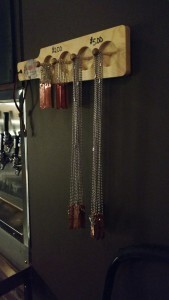 You buy your long chain with tag at your first brewery stop then you can add more tags as you travel to different breweries that offer the tags. They can be attached to growlers or mugs or kept on the chain and is a cool way to remember the Michigan breweries you’ve visited and all of the beers you’ve tried.